surrounded by mountains and glaciers. until it reaches its unique underground source. evian natural mineral water truly is a product of nature. The original purity of evian natural mineral water is the result of its slow underground journey: rock and soil both filter and protect the water, preserving it from all human-generated activities. Our precious drops acquire their natural purity during a 15-year-long journey that crafts them with essential minerals and electrolytes. Because it comes from deep below the earth’s surface, our water is perfectly pure from a 100% natural composition. evian natural mineral water’s unique, constant mineral composition, created over years of slow filtration through underground rock, reflects the uniqueness of the territory from which it originates. 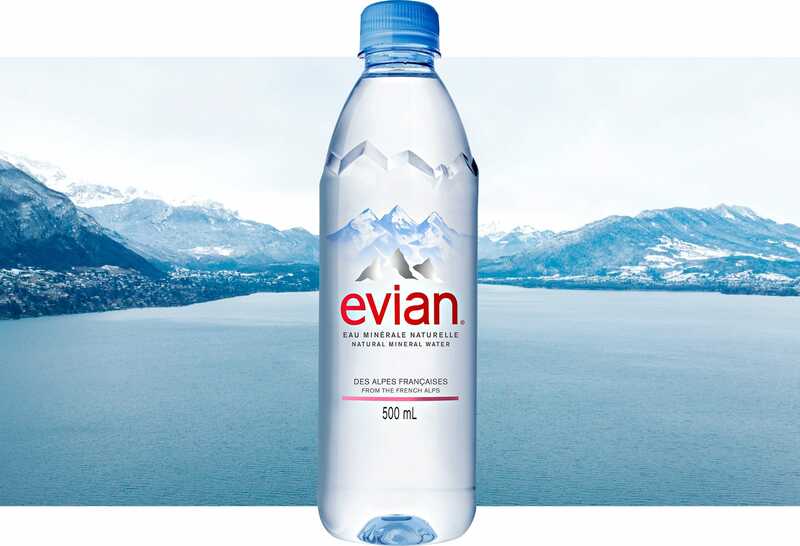 evian natural mineral water has its own identity and taste. From its unique source in the heart of the French Alps to consumers, evian's teams work tirelessly to preserve the original purity and exceptional quality of its natural mineral water. We perform rigorous quality testing at every step of the water’s journey. Natural mineral water is never treated with chemicals. On the entire product cycle, we perform over 300 quality tests every day - for microbiological, chemical and organoleptic content - and every hour samples are taken on various points of the production lines. We have a dedicated library keeping products for two years in order to ensure traceability. In this way, we ensure that the composition of our water is carefully tracked. evian natural mineral water complies with all prevailing regulations in every country where it is sold.